This species is not a true freshwater fish and should be maintained in brackish conditions. Gymnothorax: from the Ancient Greek γυμνός (gymno-), meaning ‘naked’, and θώραξ (thoraks), meaning ‘breastplate, corslet’. tile: from the Bengali vernacular name for this species. Type locality is ‘Ganges River estuaries near Calcutta, India’. An aquarium with base dimensions of 120 ∗ 60 cm should be the smallest considered for an individual maintained alone, with larger quarters necessary for a group or community arrangement. Although typically sold as a freshwater fish this is not strictly the case (see ‘Habitat’), thus the addition of a marine salt mix should be considered mandatory. Aim for around 15 g/l although it is not essential to be exact. In terms of décor this species relatively unfussy although it is essential to provide plenty of cover in the form of rock piles, lengths of pvc piping, etc. A high proportion of dissolved oxygen and moderate degree of water movement is recommended, although a protein skimmer is not required. G. tile is sensitive to poor water quality and should never be added to biologically-immature aquaria, while weekly water changes of 30-50% aquarium volume should be considered mandatory. A tightly-fitting cover is also required since Gymnothorax spp. are prodigious escape artists. An obligate predator feeding on smaller fishes, crustaceans and suchlike in nature. Newly-imported specimens often refuse to accept anything but live fishes but most can be weaned onto dead alternatives once recognised as edible. Like the vast majority of predatory fishes this species should not be fed mammalian or avian meat like beef heart or chicken, and similarly there is no benefit in the long-term use of ‘feeder’ fish such as livebearers or small goldfish which carry with them the risk of parasite or disease introduction, and at any rate tend not have a high nutritional value unless properly conditioned beforehand. Highly piscivorous and will even strike at much larger fishes on occasion so best-maintained alone in all but the very largest aquaria. It can be maintained in a group provided the tank is sufficiently large and arranged in such a way that each individual has its own refuge. This species is also known as ‘freshwater snowflake eel’, ‘Indian mud moray’, and ‘gold-spotted moray’, and is among the more commonly-seen muraenids in the aquarium trade. It exhibits differences in colour pattern both between and within populations and this has led to occasional confusion with the congener G. polyuranodon, which is also known to enter freshwater habitats. In reality the two are easy to distinguish from one another since G. tile typically possesses small pale spots on the darker head and body, whereas G. polyuranodon is characterised by much larger, dark spots and blotches on a paler background. 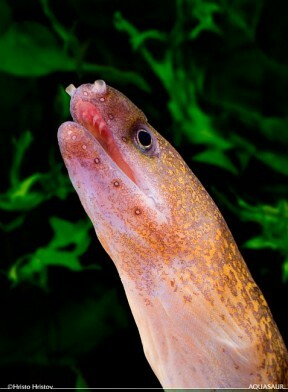 Is the elusive Gymnothorax polyuranodon really a freshwater moray? A checklist of the fishes of the South China Sea. 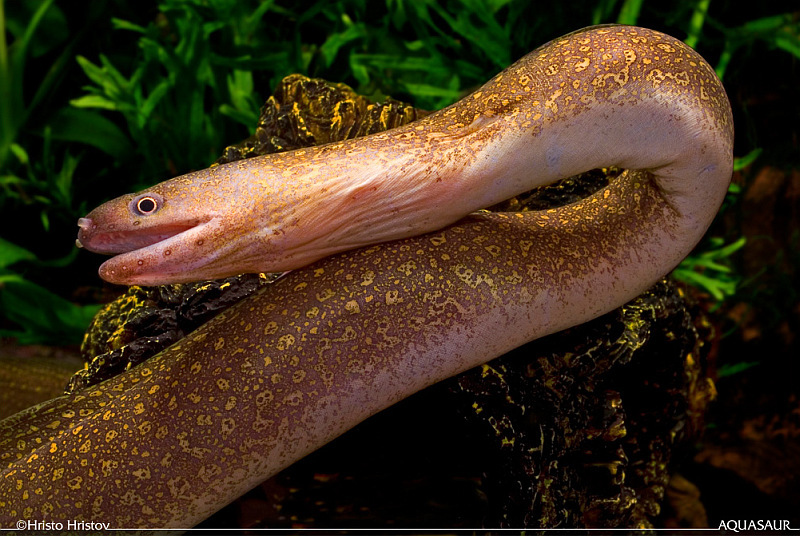 A checklist of the moray eels of the world (Teleostei: Anguilliformes: Muraenidae). The fishes of the Batang Hari drainage, Sumatra, with description of six new species.